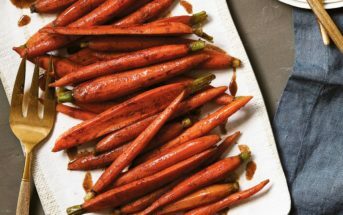 Welcome to the first edition of Friday Bites on Go Dairy Free! Dairy-free living is has become a focus in dairy-free news, and I want to ensure you have the latest. Each week, I’ll round up top headlines on product releases, research, and more to give you some quick food for thought. 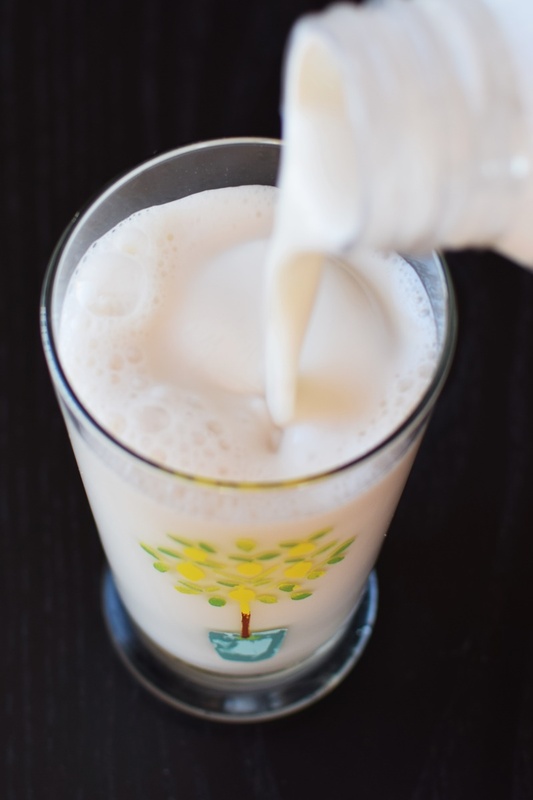 Just when you thought there was nothing left to milk, YoFiit announces the first dairy-free milk beverage to use chickpeas. The simple blend contains just water, organic ground chickpeas, non-GMO pea protein, organic flax seed oil, and calcium. Consequently, it boasts 1000mg of Omega3 fatty acids and 10g of protein per serving. It’s also vegan and made without top allergens. 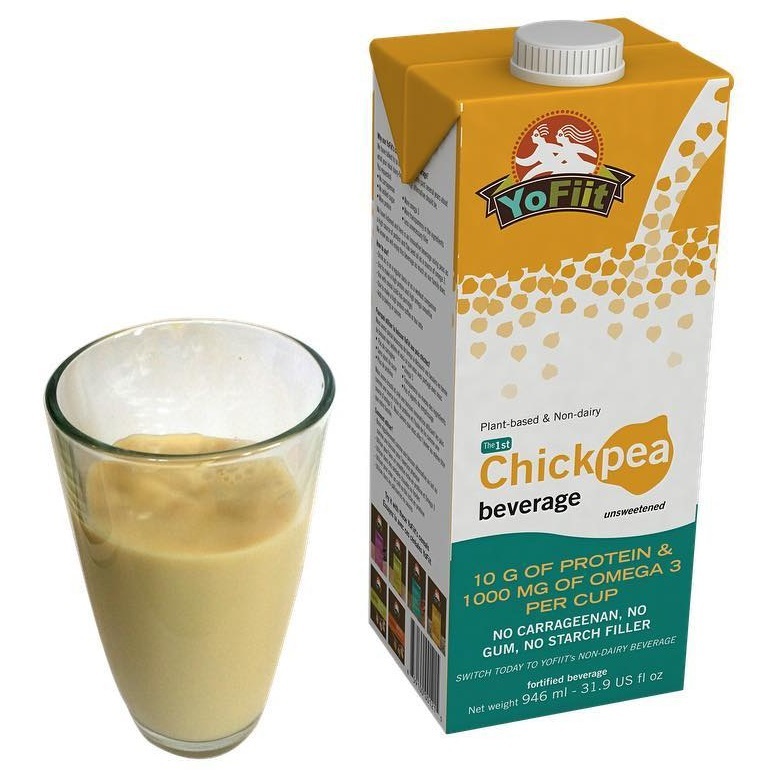 We couldn’t find specific details on the availability of Yofiit Chickpea Beverage. But the Canadian-based company appears to be planning distribution throughout North America. 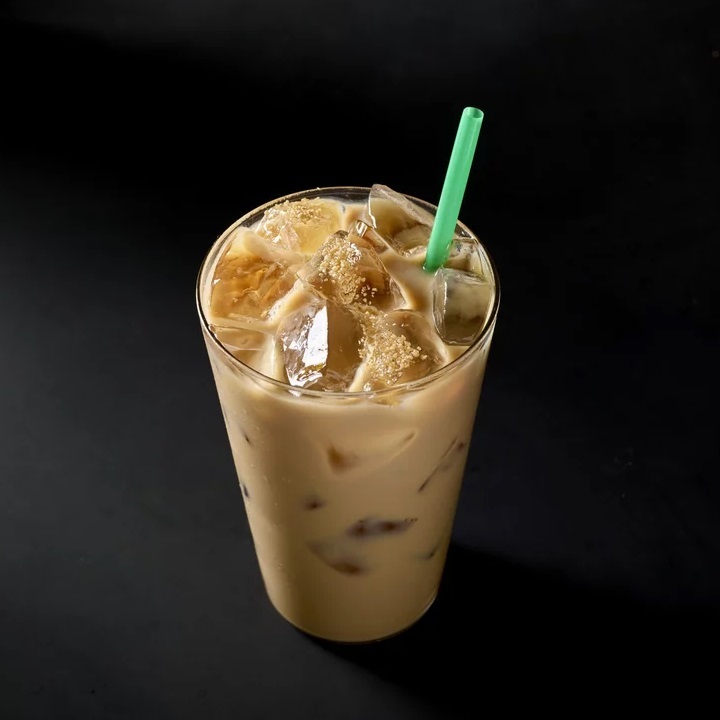 Starbucks has announced a slew of new iced beverages, including the non-dairy Iced Cascara Coconutmilk Latte. The chilly beverage is a blend of their house coconutmilk (contains carrageenan), ice, espresso, and cascara syrup. Cascara is the fruity outer layer of the coffee cherry, and it provides delicate dark brown sugar and maple sweetness. Aside from this creamy drink, they’ve also brewed up three new flavors of the Teavana Shaken Iced Tea Infusions: Pineapple Black Tea, Strawberry Green Tea, and Peach Citrus White Tea. 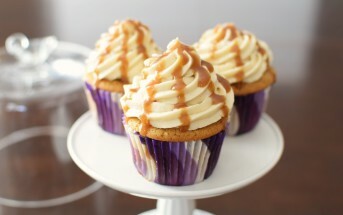 Each one can be ordered sweetened or unsweetened. 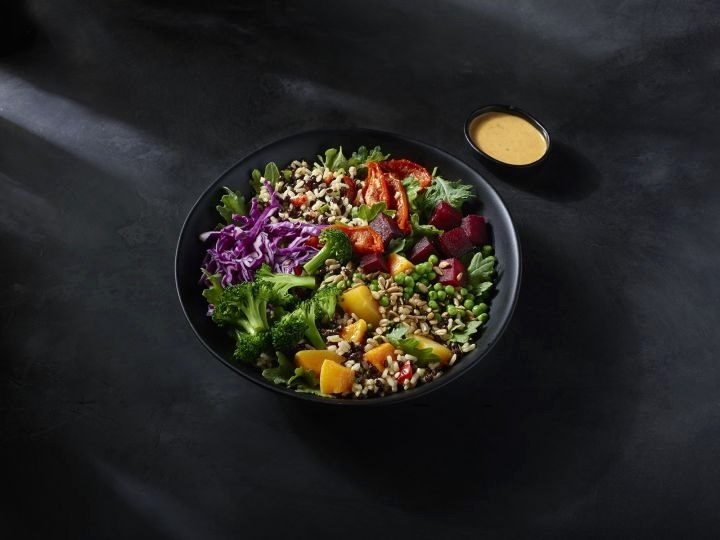 Beyond drinks, plant-based appetites can also enjoy Starbucks’ new Vegan Lentils & Vegetables Protein Bowl with Brown Rice for lunch. It will be available year round, and is currently being offered at select stores in San Francisco, Los Angeles, San Diego, New York City, and D.C. The bowl is topped with butternut squash, roasted tomatoes, and sunflower seeds, and served with lemon-tahini dressing on the side. The market research firm Mintel announced that in 2016, traditional ice cream sales tumbled 16.7 percent. The dramatic fall was attributed to rapid growth in other categories, including non-dairy ice cream. And manufacturers are milking it. This year, 4 percent of all new ice cream product launches were dairy free. In fact, major brands like Breyers and Haagen Daz even found their way into the plant-based mix. 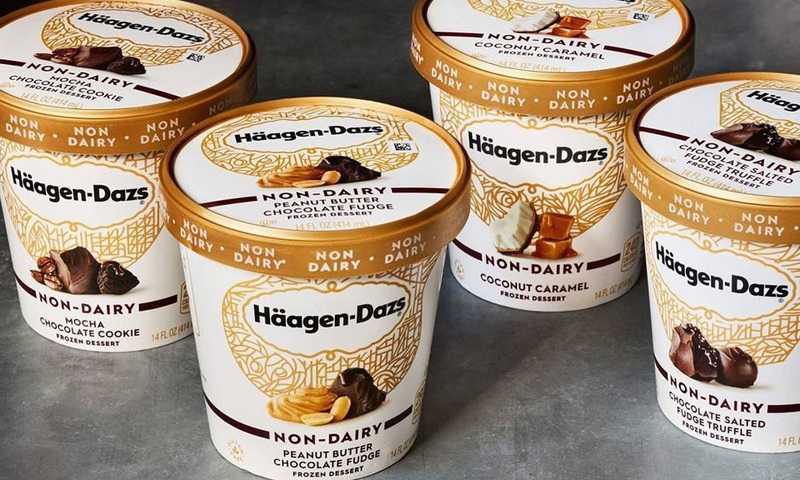 The most recent dairy-free ice cream release includes four luxurious varieties from Haagen Daz. They include Coconut Caramel made with a coconut cream base, Peanut Butter Chocolate Fudge made with a creamy peanut butter base, and two flavors made with a rich Belgian chocolate base, Chocolate Salted Fudge Truffle and Mocha Chocolate Cookie. 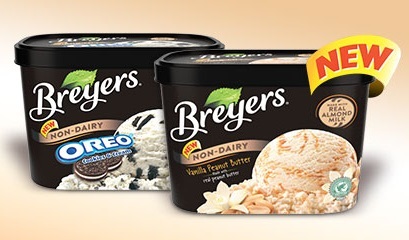 Breyers took a more traditional route, with two new “everyday flavors” for dairy-free customers. The Vanilla Peanut Butter and Oreo Cookies & Cream come in their big tub sizes, and are made with an almond milk base. 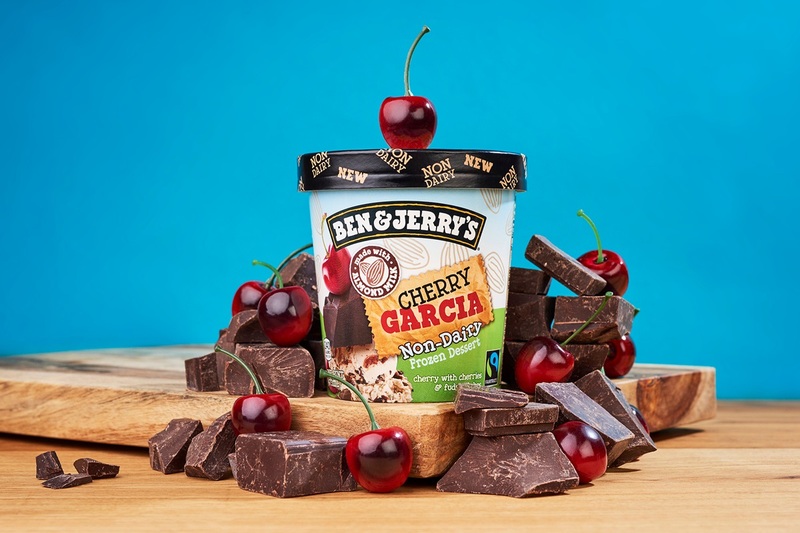 And earlier this year Ben & Jerry’s expanded their non-dairy line up to include Caramel Almond Brittle, Cherry Garcia, and Coconut Seven Layer Bar. If you can’t find these flavors in your local area, you’re in luck. The popular Vermont creamery has begun selling all of their flavors direct online. According to the Market Research Future, the global non-dairy cheese market will take a $3.5 billion wedge of the total wheel by 2023. But unlike the ice cream market, North America isn’t leading the demand. Europe is the dominant market with Germany accounting for more than 25 percent of the European non-dairy cheese purchases. And Britain is also seeing a boom in dairy-free lifestyle choices. Sales of foods free from dairy and gluten have soared £800 million in the past year. But the thirst for alternative dairy drinks is hitting big in most countries, including China. Global non-dairy beverage sales are expected to reach $16 billion in 2018, which is way up from $7.4 billion in 2010. Haagen daaz’s website doesn’t have any info about their new non-dairy products yet. Do you know the date we expect to begin seeing these in stores? I know! I was hoping to get more info there, too. They are already rolling out in stores. They aren’t in my local area yet, but I’ve heard of others picking them up already. I believe Target and perhaps other stores. This is awesome! Great article!